Researchers from the University of British Columbia recently published a study into how cobalt-blue spinel is formed. Phillipe Belley and Lee Groat, researchers at the university, travelled to Baffin Island in the territory of Nunavut to try to understand what specific set of geological circumstances gave rise to these vivid, blue stones. Cobalt-blue spinel is a mineral that is largely unknown to those outside the world of mineralogy but produces gems that are highly south-after by collector around the world. Spinel is naturally found with a wide range of colours, from red, through pink and violet to bright blue. Even small stones can sell for up to ten times the price of a comparable sapphire, but supply of the gems is an ongoing issue, with production from the major source, Vietnam, being limited and intermittent. The thick vegetation or challenging terrain in traditional gem-rich areas like Vietnam or the Himalayas can make exploring for these valuable minerals highly demanding, but this isn’t the case on Baffin: “There’s excellent rock exposure on Baffin Island, which facilitates exploration and the use of more advanced techniques like imaging using drones or satellites” said Belley. The researchers examined fourteen separate occurrences of spinel on Baffin Island to gain a better understanding of how it is formed. Two of these occurrences were of the distinct cobalt-blue spinel. 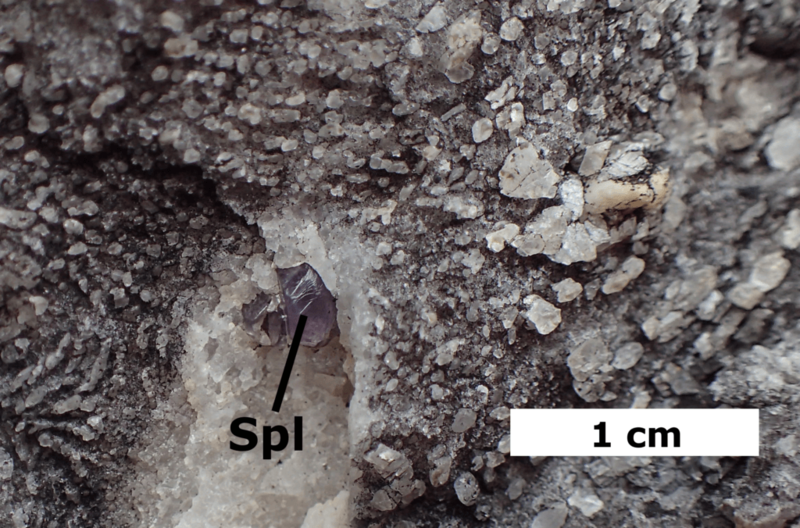 The recipe to cook up these spinels on Baffin involves going back 1.8 billion years in time, when sedimentary deposits of dolomitic marls and dolomite-bearing limestones were metamorphosed by being heated to about 800 C whilst under immense pressure. 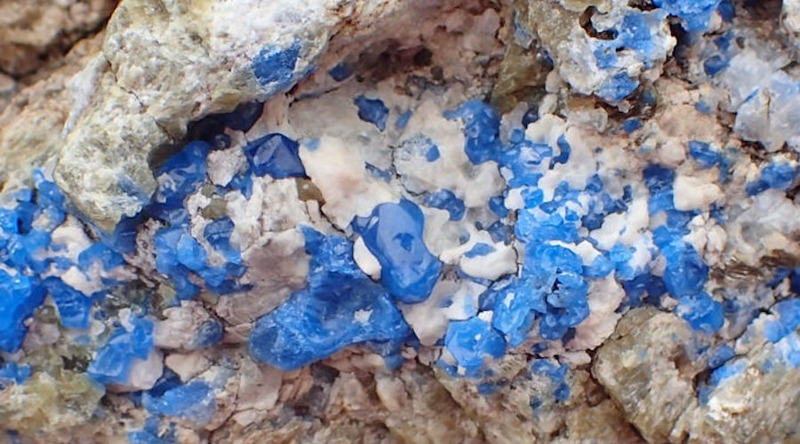 The cobalt required to turn these particular spinels bright blue was only found in very small areas at the necessary concentrations (up to 500 ppm). The cobalt was added either when the original sediments were deposited, or at some point early in the metamorphic change of the sediments. The research has shown that the previous belief that the cobalt was transported during the later, higher temperature stage of metamorphism was incorrect, meaning this will change where people explore for cobalt-blue spinel deposits in the future. Belley went on to state that Baffin Island is geologically similar to the Himalayas, a well-known source for some of the world’s highest quality gems. “Canada hasn’t been widely recognized as a source for fine, coloured gemstones but our research suggests that we have all the right ingredients.” Here’s hoping!